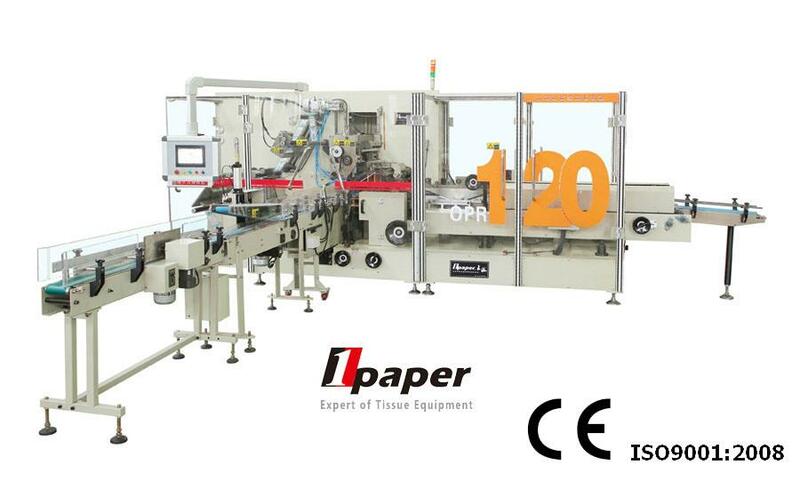 Note: The machine is the only one reputed as the fastest soft drawn facial tissue packing machine in China, innovated, researched and developed by our company on the basis of internationally advanced machines. 4.Good squareness , without ends of irregular shapes or overall inclination. 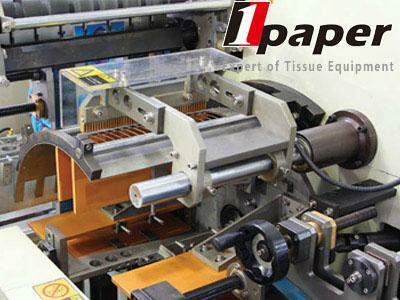 It is suitable for automatic film packing of soft drawn facial tissues, square tissues, napkins, paper towels, etc. Packing forms such as batch No. printing (optional), tear-line cutting, film feeding, material feeding, wrapping, end sealing, corner folding, side sealing, labeling (optional for dustproof packing), outputting and etc. are adopted. Featured by compact structure, beautiful packing and firm sealing. Multi-servo motor,10″ touch screen, PLC control system and man-machine interface display make operation more clear and convenient. With high automation degree, the machine is more user-friendly. The automatic material arranging and conveying mechanism is adopted to facilitate linked production with automatic production line, which can greatly reduce labor cost. The photoelectric eye automatic detection tracking system is adopted. No film movement is made if the bag is empty, so as to save packing materials to the utmost extent. With wide packing range and convenient adjustment, fast switching among various specifications and sizes can be realized. The machine is additionally provided with two transverse tear-line cutters and the labeling mechanism to realize drawn type dustproof packing and make the finished products more sanitary and noble. Through adopting rotary disc type running, the machine runs stably at a high speed with more convenient operation and maintenance. The arc and linear guide rails can be adopted to realize more stable running, lower noise and longer service life. All important parts are provided with the linear torque limiter and overload protector to effectively protect machine safety. The machine can be connected with the large orbit paper cutting machine at its front end and with the soft drawn medium packing machine, or case packing line at its rear end.